Each For All was awarded the CCEC Credit Union 2017 Roger Inman Memorial Award. We share the award with Girls Rock Camp Vancouver. The Each For All team stoked. Laura Carey takes over from Holly Cruise as Executive Directory of Terminal City Glass Co-op. Laura Carey is an experienced arts administrator and is a self-described “booth brat”. She’s worked in a professional capacity with Canadian Clay and Glass Gallery, Circle Craft, and the Gallery of BC Ceramics. She also has experience with non-profits and volunteer boards. Former Executive Director Holly Cruise is a past guest. We wish her the best as she focuses on her art career. And congratulations to new Executive Director Laura Carey. The International Organisation of Industrial and Service Co-operatives and co-op agency Altgen have launched a new youth campaign. The “We Own It’ campaign will show youth that co-operatives are way to own and manage enterprises democratically. The campaign is funded by organizations around the world, including the Canadian Worker Co-op Federation. Tell us your story in 150 words. Co-op Canada has started a co-op awareness campaign around the Canada 150 celebration. Share your 150-word co-op story with them and they’ll share your post with Canada. 150 stories and photos will be featured in a commemorative journal. Open 2017 is a two day conference on Platform Cooperatives being organised in conjunction with Goldsmiths, University of London in the UK. Speakers include Stocksy CEO Brianna Wettlaufer from Victoria, BC. 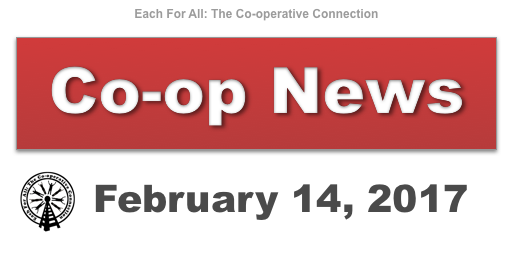 The Victoria Health Co-op invites everyone to their Health Fair and AGM on Saturday February 25th. Find out about their health and wellness services and meet other co-ops from the Victoria area. It’s 11am to 2pm at the Fairfield United Church. Groundswell’s 5th cohort of graduate entrepreneurs showcase their ventures. The general public is invited to see Vancouver’s newest entrants to the social economy. This forum is open to CHF BC and CHF Canada members. It’s a crowdfounding dinner of soup and salad where you vote for your favourite group. It’s a minimum $10 donation at the door and the winning group takes all. The Canadian Housing Federation of BC Spring Education Conference is April 1st. Conference details to be announced. “The annual CASC conference is May 30th to Jun 2nd. In addition to AGM business there are workshops and networking opportunities. 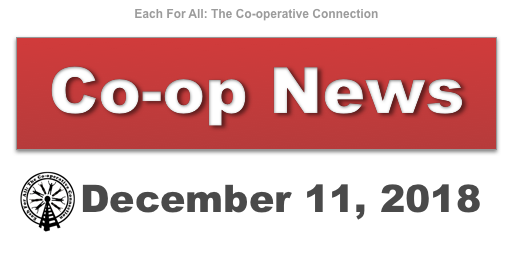 Over 750 co-op members, leaders and managers are expended to attend. This year’s AGM is in Niagra Falls, Ontario. Co-operatives and Mutuals Canada is hosting co-operators from across the country in Ottawa, Ontario. The conference brings together practitioners, researchers, and community organizations to advance social entrepreneurship and improving community livelihoods.